In contrast to contact chips, RFID chip cards can be encoded and read contactlessly via wireless technology. 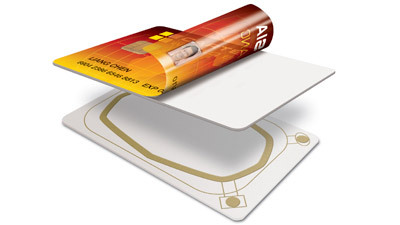 RFID chip cards which are also known as transponder cards, provide you with high level data security and allow you to integrate several possible applications into just one plastic card. As YouCard is an official partner and reseller of HID Global (iCLASS and Prox Cards), NXP (MIFARE Chip Cards) and LEGIC (Prime, Advant and CTC Chip Cards), we are able to offer you any needed RFID chip card at a reasonable price. Insofar as you are interested in a modern and even more functional alternative to RFID chip cards, we recommend considering our vast supply of RFID Key Fobs (also known as SmartKeys) and RFID bracelets. For more information about our RFID plastic cards please have a look on our listed chip overview below. We at YouCard have all current RFID cards by the world’s leading manufacturers in stock. Additionaly our experienced security experts are looking forward to help you with your specific RFID application. Our qualified team of chip card experts is standing by to help you with figuring out the best solution to answer your RFID demands. Certainly, they will also provide you with complimentary and nonbinding purchase advice about your ideal RFID chip card. If you have any question regarding to the most suitable RFID card for you or your application, simply get in touch with our experts. If you want to know which RFID chip card will be your best choice, please feel free to contact us. If you have any questions, don’t hesitate to contact our security experts.